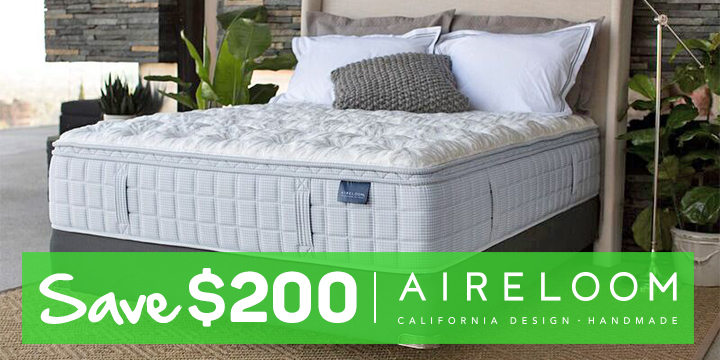 Aireloom is a well-respected mid-to-luxury-level mattress beloved by the rich and famous. In fact, President Ronald Reagan put Airelooms in all the White House bedrooms. Aireloom mattresses come in innerspring, foam or latex varieties, with foam, memory foam, latex, wool, or cotton comfort layers. Since 2004, the company has been owned by E.S. Kluft & Company, but the mattress designs and materials meet the same high standards. There are two design features that set Aireloom mattresses apart from the competition. First, they are hand-tufted, which prevents bunching on the top layer. Secondly, Aireloom uses an elastic fabric to separate the foam from the inner springs, which lets the bed react as needed, and makes it easier to relax. 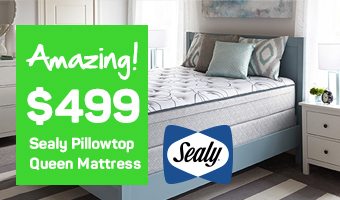 They may not be the cheapest beds around, but you can count on Aireloom using top-of-the-line materials to make your bed. Customers looking for an oversized sleeping surface like Aireloom because their king-sized mattress is 7 feet x 7 feet, which is 20 percent larger than a standard king mattress. They also report above-average ratings for “motion isolation,” meaning that they don’t feel their partners shifting around in the night. The company’s Hotel Collection line is especially popular, as people seek a luxurious, cloud-like sleep, reminiscent of vacations. Mattress World Northwest has the largest selection of Aireloom mattresses in Oregon. You’ll find that different models of the same brand feel entirely different to lay upon as well. 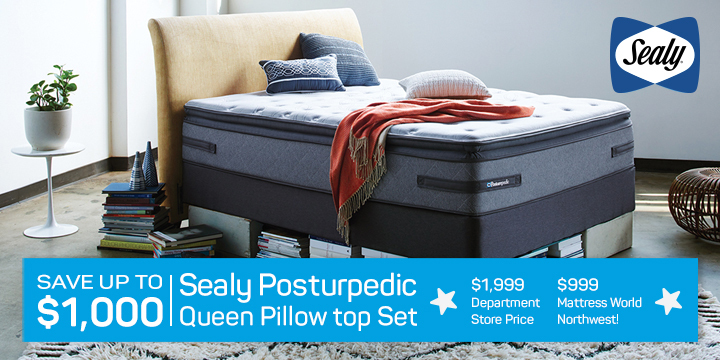 When you shop for a bed, it’s less about brand and more about establishing your own definition of comfort and finding the construction that best fits your needs. Our Sleep Specialists are committed to helping you discover your preferences and make a purchase you will be satisfied with for a decade or more.